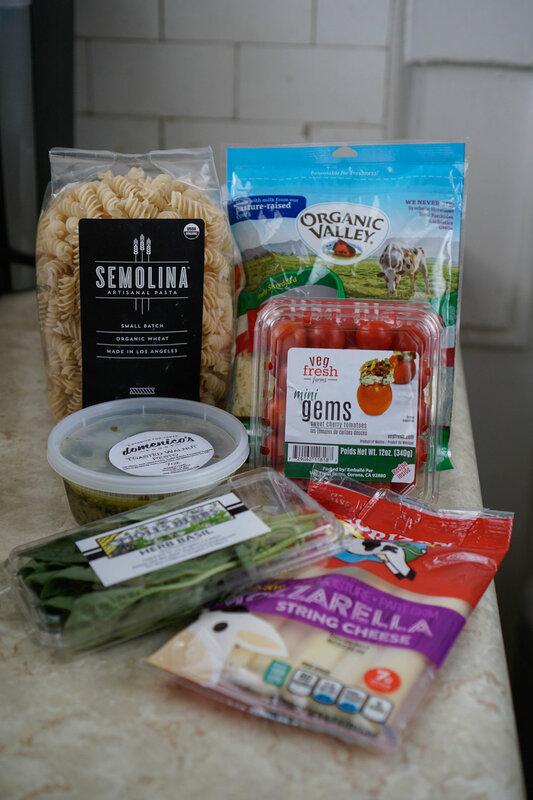 I wanted a simple recipe, and decided to make a pesto pasta salad. I did not create my own pesto sauce, but luckily I was able to find pesto sauce, as well as a few other ingredients from from Milk and Eggs. This is my own recipe, so please enjoy! Prep Time: 25 minutes. Serves 4. 1. Cook the pasta as directed on the package. Drain pasta and place in a large bowl. 2. While pasta is cooling, prepare the tomatoes and mozzarella cheese. Mix pesto sauce, tomatoes, mozzarella, and shredded cheese with the pasta. 3. Garnish with basil leaves, tomatoes and cheese and serve!